HMV Vehicle Driver Legal Licence from HMV. LMV Vehicle Driver Legal Licence from LMV. 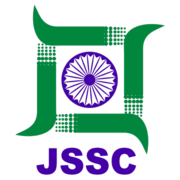 Eligible candidates may apply online at JSSC's website (direct link is given below) from 15 Oct 2018 at 11:00 AM to 23 Nov 2018 till Midnight. Candidates log on to http://www.jssc.in/. Go to "Application Form" & Select the desired post.